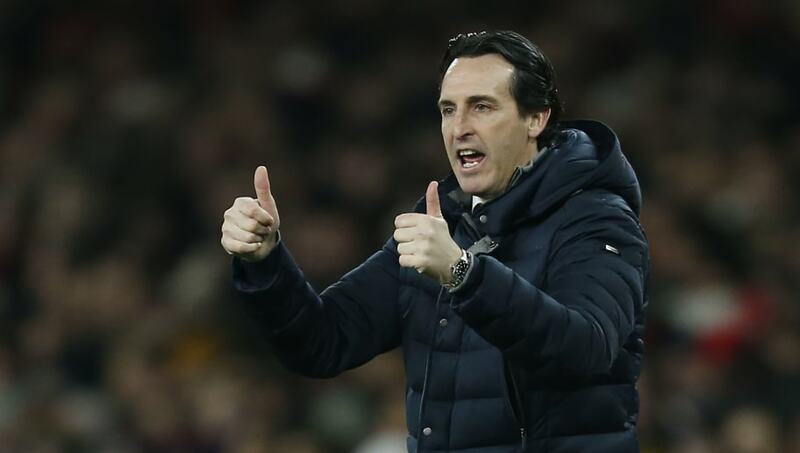 ​Arsenal manager Unai Emery has revealed the club are looking to make 'one or two' new signings before the transfer window closes next week, and suggested that deals for a new winger and a centre-back are the priority. With Hector Bellerin joining Danny Welbeck and Rob Holding on the sidelines for the long-term, the Gunners' squad is looking increasingly light as they hope for an assault on three fronts in the business end of the season - supplementing their fight for the top four with runs in the Europa League and FA Cup. Emery, while admitting he is prepared to work with what he has if need be, has spoken openly about what he is looking for before the window closes on February 1st. "The club continues to work on signings," he said in a press conference ahead of their FA Cup tie with ​Manchester United, as quoted by the ​Arsenal website. "The idea is firstly to find the quality and this quality can help us. We need, if he can come here, a winger for the right or left or some players also at centre back. But now, Dinos Mavropanos is coming back after his injuries and I think I can use him in the next matches. "It's difficult, you know, but I am working with our players and I think we need - and we can - sign some players to help after our injuries like Rob Holding, like Welbeck, like Hector Bellerin. "But we can play with the players we have now and the same message is to you and every supporter, we only want to sign one or two players who can really help us with good performances. "The club is working. They know our intentions, our possibilities for signing players that can help us, but they work and also with communication to us." With Emery ​previously stating that only loan signings will be available in the January window due to budget restraints, ​Arsenal had been heavily linked with versatile Barcelona midfielder Denis Suarez, but the manager was tight-lipped on speculation to that end. He added: "I don't want to speak about each player. I know the club is working with different players."